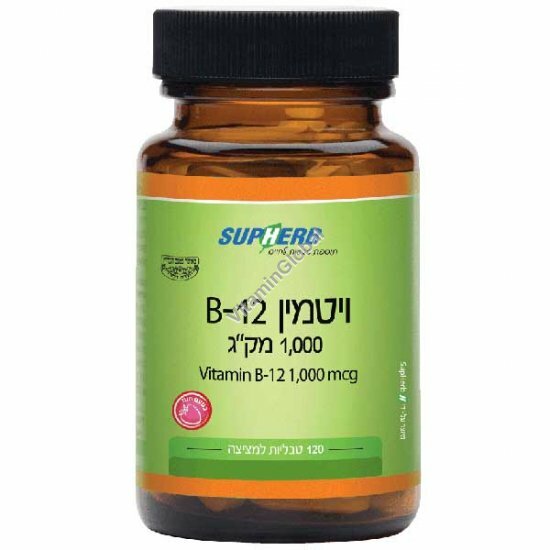 Vitamin B-12 is essential for the metabolism of proteins, fats and carbohydrates, as well as for the normal functioning of the nervous system. Instructions for use: 1 daily, under the tongue. Recommended to combine with: Iron Complex, Folic acid 400 mcg, B-50 Complex. Available in packages of 120 tablets.